I apologize, I have been enjoying the summer time weather and being outside and haven't updated in a while. 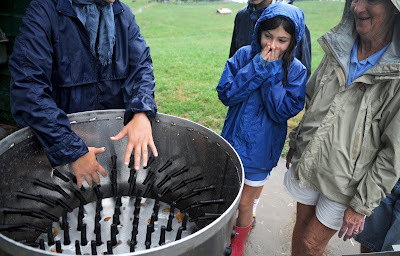 Over the weekend it was a different story with rain and rumbles of thunder. Weather doesn't stop my job, and it didn't affect anyone's spirit in the assignments I had to cover either. 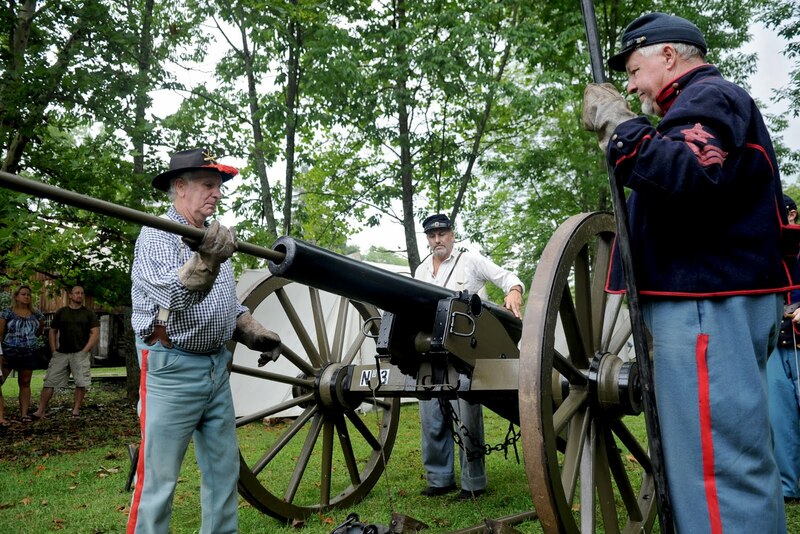 The first assignment I had was a boot camp for kids at the Pennsylvania Military Museum. I was surprised there was no rain date for the event, but as I was told, real military boot camp doesn't stop for any weather reasons, so neither would they. 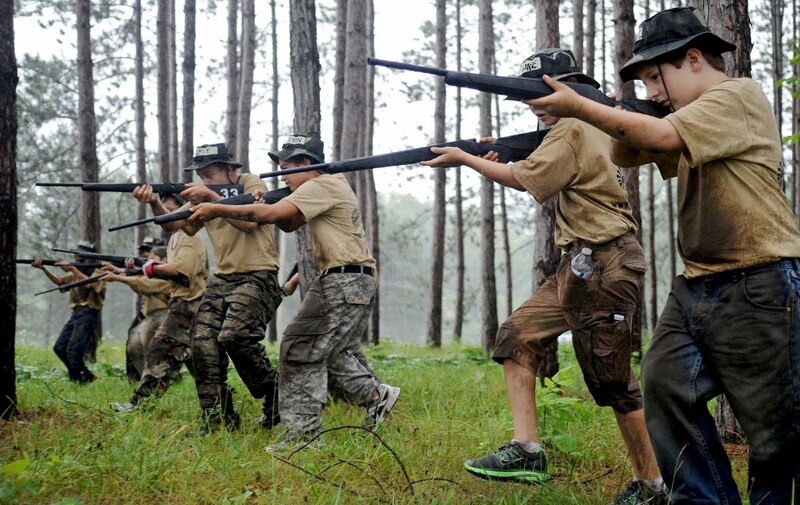 The kids who ranged from age 8-13, were split into platoons and went through several training exercises. 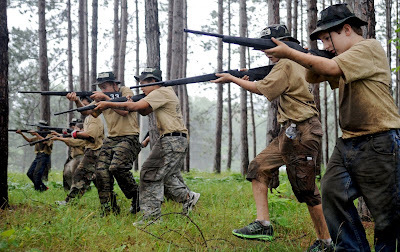 Recruits in platoon 2 work on a tactical self defense line with replica rifles in the trees. Recruits in platoon 3 crawl through the confidence course as the rain picks up. 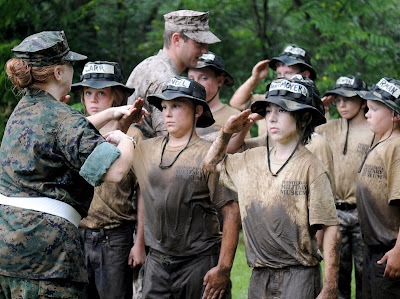 Covered in mud from the confidence course, recruits in platoon 3 learn how to properly salute. After I was drenched from boot camp I moved on to the Centre County Farm Tour. 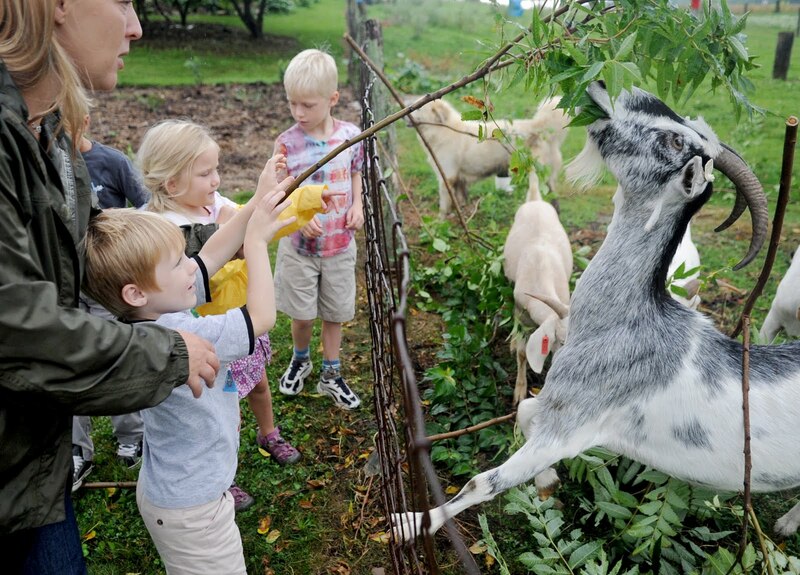 At Young American Growers at Two Barn Farm visitors could feed the bore goats. I moved on to Beiler Family Farm as the rain picked up again and most of the animals scattered for the pastures or for cover. 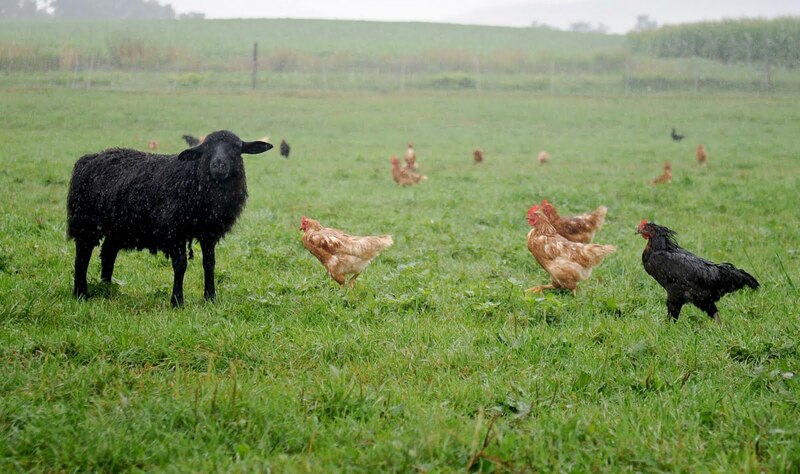 This black sheep posed for me and was in no hurry to go anywhere, unlike the hens who headed for the hen house. 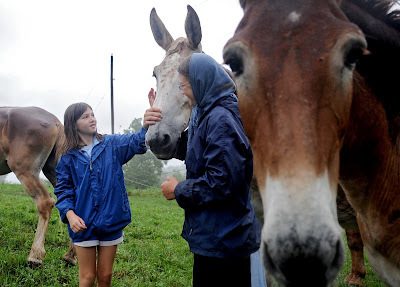 I jumped in on a tour that the owner of the farm's daughter was giving to a group. As she explained how they process their chickens one of the visitors reacts to learning how the chicken plucker works. The work mules were very friendly and more uplifting to learn about. Delicious looking fresh picked carrots. I dried out from Saturday and was looking forward to a clear Sunday. Right as I arrived at Greenwood Furnace State Park the rain clouds arrived again but didn't stop the civil war reenactors as they kicked off Old Heritage Days. 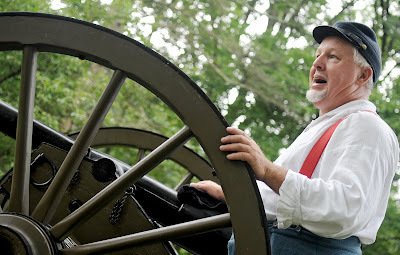 Firing the 3 inch rifled ordnance. 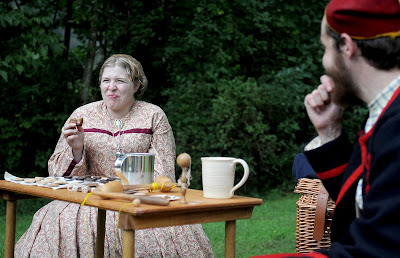 A reenactor makes a face after trying someone else's recipe of hardtack, a flour, water and salt snack that the soldiers commonly carried with them. 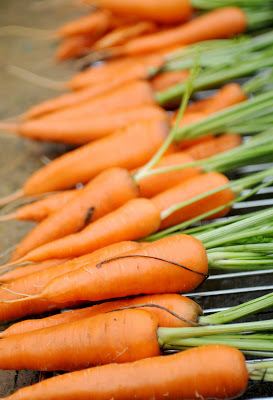 The sun has come back out again, and hopefully will bring some bright filled assignments this week.